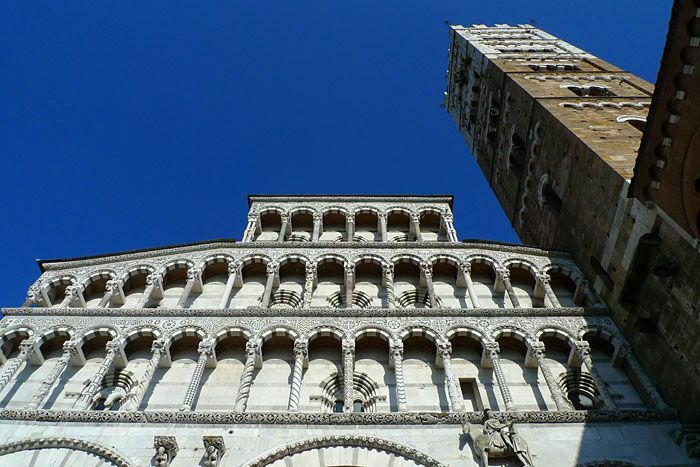 The 11th century Cattedrale di San Martino on Piazza San Martino combines a beautiful Lucca-Pisan style façade, an array of differently decorated columns and portico reliefs on one of its doorways, arguably, the work of Nicola Pisano. Its interiors underwent modifications some of which are in the Gothic style from the 1300s and 1400s. 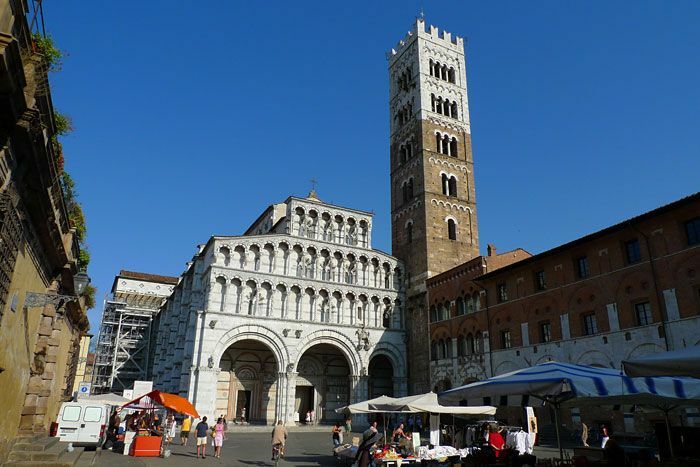 A symbol of the Renaissance in Lucca is Matteo Civittali who created the pulpit and itssmall temple where the Volto Santo is kept. It is said that it was carved by the witness Nicodemus. This crucifix is carried thruugh the streets of Lucca in September when the Luminaria di Santa Croce is celebrated. The Last Supper painted by Tintoretto and Ilaria del Carretto’s tomb carved by Jacopo della Quercia are housed in the cathedral. 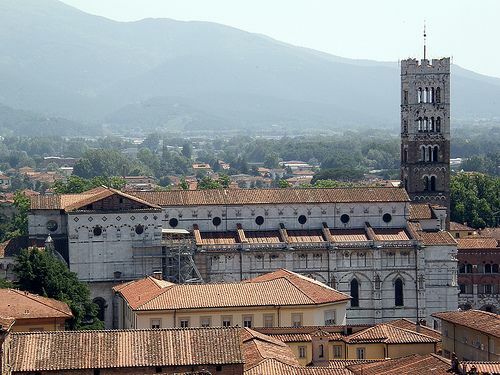 It showcases 15th and 16th century manuscripts and religious art belonging to the cathedral. (tel. 0583 49 05 30; Piazza Antelminelli).